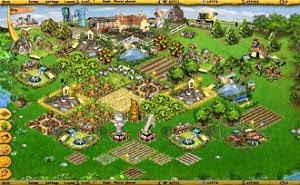 Farmerama is an impressive free browser game that places you behind the destiny of the craziest farm ever! Grow your plantations, take care of your animals and watch out for trespassers. Enjoy the amazing and colorful graphics, the social features and The Country Herald, a newspaper created by the players for the community.